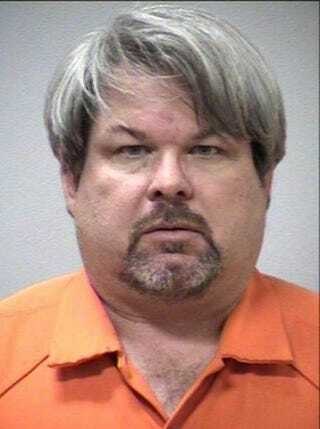 Authorities are looking into a report that Kalamazoo, Mich., shooting-spree suspect Jason Dalton picked up at least one Uber fare between killings during the random spree, the Associated Press reports. Dalton, 45, had no criminal record but was apprehended in connection with the hourslong rampage Saturday that left six dead in western Michigan. According to the newswire, authorities did not provide a motive for his alleged targeting of individuals who had no obvious connection to him or one another. "How do you go and tell the families of these victims that they weren't targeted for any reason other than they were there to be a target?" Kalamazoo County prosecutor Jeff Getting said at a press conference Sunday. Authorities were investigating a Facebook post that indicated that Dalton was driving for Uber during the frantic manhunt and had picked up at least one fare. A spokesperson for Uber confirmed that Dalton was a driver for them, but did not confirm whether he was driving Saturday night. As AP notes, Uber prohibits passengers and drivers from having guns of any kind in a vehicle. If found to be in violation, the individual could be prevented from using or driving for the ride-hailing service, AP reports.